How are the patient, the physician, the nurse, and the scientist called to grow in holiness in their particular vocations? 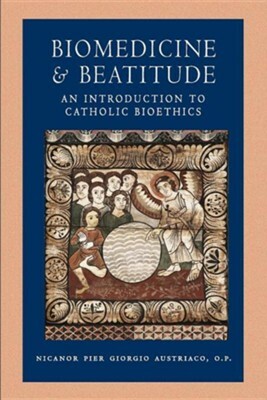 This introductory text, written from within the Catholic moral tradition, narrates a bioethics that emphasizes the pursuit of beatitude in the lives of those who are confronted by moral questions raised by biomedicine and the other life sciences. The Catholic moral vision that informs this volume is rooted in the moral life described by the Lord Jesus Christ in his Sermon on the Mount. As Pope John Paul II taught in his moral encyclical, Veritatis splendor, we imitate Christ by seeking, with God's grace, to perfect ourselves through our actions and the virtues they engender. In this way, Catholic bioethics differs from other contemporary approaches to bioethics that focus on either the outcomes of human acts or the procedures that protect the autonomy of the human agent. Besides ethical questions raised at the beginning and the end of life, Nicanor Austriaco, O.P., discusses the ethics of the clinical encounter, human procreation, organ donation and transplantation, and biomedical research. Finally, the text discusses the realities faced by citizens of faith living in a free and democratic society that is at the same time postmodern, secular, and liberal. I'm the author/artist and I want to review Biomedicine and Beatitude: An Introduction to Catholic Bioethics.